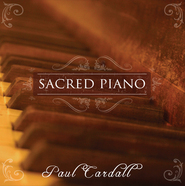 Piano Preludes comes from producer Paul Cardall, a #1 Billboard artist and Steinway concert artist, and features fifteen beautiful original piano and orchestral compositions by Black, including Champs-Élysées, a rich, French-inspired piece infused with memory and longing, featuring Grammy-nominated violinist Jenny Oaks Baker. The album evokes feelings of serenity and peace through Black’s beautiful playing and compositions and helps create an environment of peace, relaxation and prayer. Pianist Jason Lyle Black, known on YouTube as “The Backwards Piano Man,” has over 25 million views on his music videos worldwide and has been featured by the Huffington Post, Yahoo, TODAY show, Good Morning America, TIME.com, and other national news outlets. Black performed on the Ellen Degeneres Show, eliciting a reaction of “Unbelievable!” from Ellen while on the show. In 2015, Black was awarded the Utah Audience Favorite award at the Utah Music Awards for his collaboration with The Piano Gal, a Utah YouTube celebrity who is also featured on Piano Preludes. Black maintains a career as a full-time recording and performing artist, having performed around the United States as well as in Tokyo, Japan. An amazingly beautiful album with wonderful melodies that relax, inspire and encourage. Love playing his music! This gifted musician will touch your heart. I have given several as gifts. I am a little bias toward this album because I was fortunate to produce Piano Preludes by Jason Lyle Black, but it truly is beautiful. Jason is a humble composer and has depth in his writing that is rare. I listen to the album in my car and when I have trouble sleeping. You need this album!